Tuesday, January 22, 2019 has been a very exciting day. 11:30 AM PST – Sammy’s Big Dream Shipment is Sent! 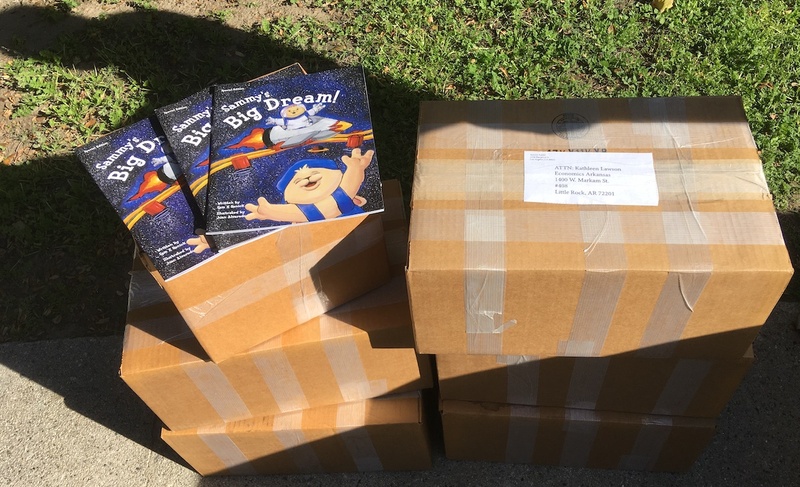 Just minutes ago, at 11:30 AM, PST, 750 Sammy’s Big Dream story books were shipped to Economics Arkansas in Little Rock for distribution to elementary schools throughout the state. Woohoo! The book shipment is part of Phase 1 of the Arkansas Dream Big Read Financial Education Initiative. The initiative is currently a three-way collaboration between Economics Arkansas, the Garrett Planning Network and Sammy Rabbit. The books insure schools that want to celebrate America Saves Week have a resource to do it, if they so chose. It also enables Arkansas educators to talk to and inspire kids to dream and do big one step at a time. That includes having discussions with kids about their college dreams and the plans and preparation that are necessary to make those dreams come true, including saving money. America Saves Week starts February 25. The first social media post of the morning I saw was from Ohio mom, CFP, youth financial literacy and Sammy Rabbit champion Krista Cavalieri. 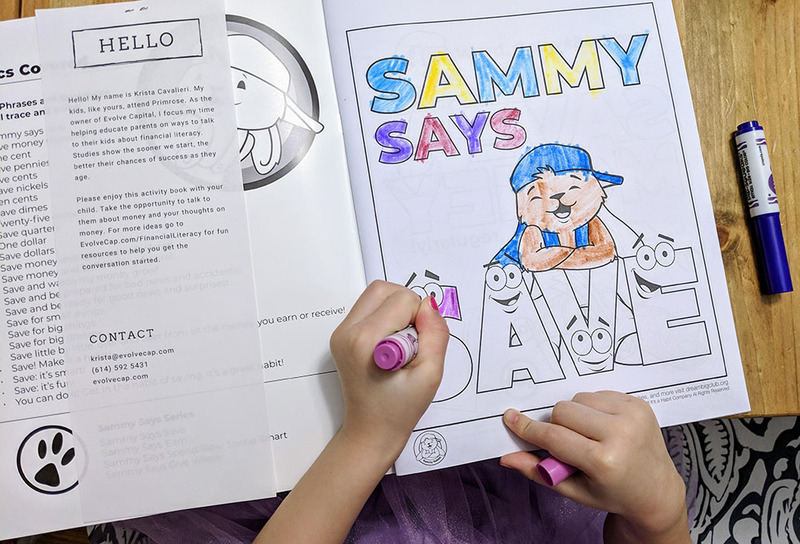 Krista posted a vibrant and joy filled picture of her daughter coloring one of Sammy’s favorite messages and announced that she, Krista, will be appearing tomorrow on Good Day Columbus to share strategies with parents, teachers, and community leaders on how to talk to and teach kids about great money habits! Kudos Krista!!! Keep raising awareness. Keep empowering kids and families. Thank you for your inspiration, insights and energy! Stay Tuned – More News! Michael Semmann Executive Director of the Wisconsin Bankers Foundation and the visionaries behind MyMazuma tell me that Reading Raises Interest! In 2019 that means Sammyriffic news for Wisconsin elementary students! Here’s to a Sammyriffic rest of the day! Have a super duper Sammyriffic day! Check out Krista’s prior appearance on Good Day Columbus!